The powerful anti diabetes properties of these foods prove that making healthy food choices can overcome many lifestyle related diseases. Chinese researchers have identified nutrients in pumpkin capable of regenerating damaged pancreatic beta cells that produce insulin, lessening or possibly eliminating the need for insulin injections for Type 1 and some Type 2 diabetes cases. Pumpkin also happens to be rich in carotenoids , nutrients that prevent eye disease and blindness associated with diabetes. In addition, this wonder food has appreciable amounts of fiber, essential for stabilizing blood sugar and keeping the heart healthy. Then there is folate which protects the heart by lowering blood levels of homocysteine, a hormone that contributes to heart disease. Eating foods that promote heart health is imperative because heart disease is the leading cause of death among diabetics. 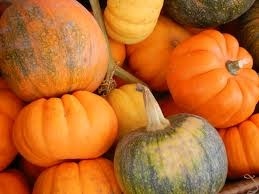 Potassium, another vital nutrient in pumpkin, effectively counters hypertension, a common diabetes complication. Eat the pumpkin rind too, that is where these nutrients are highly concentrated. 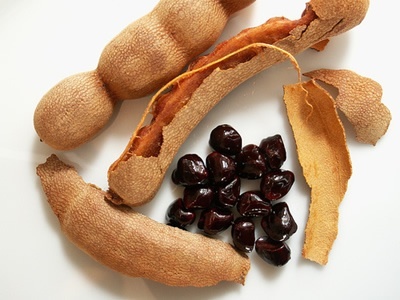 Tamarind has the outstanding ability to quickly stabilize blood sugar and one way this wild fruit works is by increasing the size of insulin producing pancreatic cells thereby ensuring adequate supply of insulin throughout. This super food also contains anti oxidants known as tannins, they improve the body’s ability to use insulin and protect against oxidative damage to pancreatic cells caused by high blood sugar. Fiber in tamarind does wonders to the heart by lowering bad cholesterol, a situation that reduces susceptibility to heart complications. When it comes to managing diabetes sustainably, ensuring good heart health is key. Apart from being good for the heart, fiber is a magic nutrient for melting belly fatTwo super foods for Diabetes and this improves the body’s defense against diabetes. Carrying excess belly fat makes diabetes harder to control and triggers complications. Iron, also found in tamarind, prevents stroke and other diabetes complications by boosting the content and distribution of oxygen in the blood. Other important nutrients in tamarind include niacin, calcium, phosphorus, thiamine, and riboflavin and they all work in various ways to regulate blood sugar. Surely, you can beat diabetes. I am diabetic, and I know that, eaten in huge quantities at ago, pumpkins raise sugar levels immediately, including bananas.but they are google for type1 diabetes, though. diabetics, even if they are on diet or taking medicines, must always exercise, it is non negotiable. further, taking medicines doeas not give one allowance to eat whatever, as they wish, and whenever. if you don’t control your diet, medicines wont help much, you will end up increasing dossages until you end up zeeeeee. to all diabetics, please exercise, even by walking for 20minutes after work. and to all people who are overweight, I advise that you go and check your sugar levels, and start reducing weight, otherwise diabetes will catch up with you, that is, if it has not yet. Advise given freely by one managing diabetes in my body. educative article madam,but u should have specified what type of diabetes it is u talking about, as somebody managing it has said in the comments.apart from food u should have mentioned things like exercise.stay up next topic. I have never tried usika, I will try it this time. Those who have diabetes like me, try also to eat Bondwe (this is actually good even for those that have failed to produce children). Bondwe you can even just drink the soup if need be or eat the whole vegetable. Pumpkin for me the sugar levels shoot very high, maybe I take too much. Yes I would like tamarind. Where do I get the juice from in Zambia?